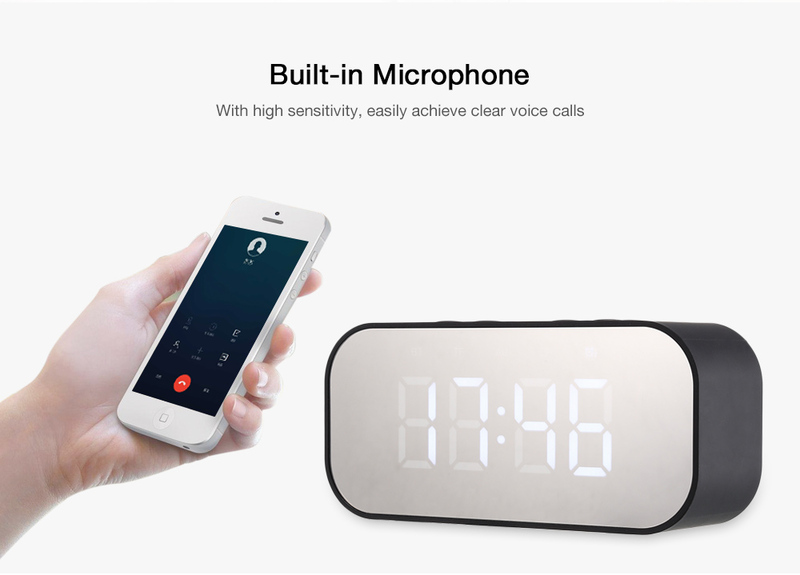 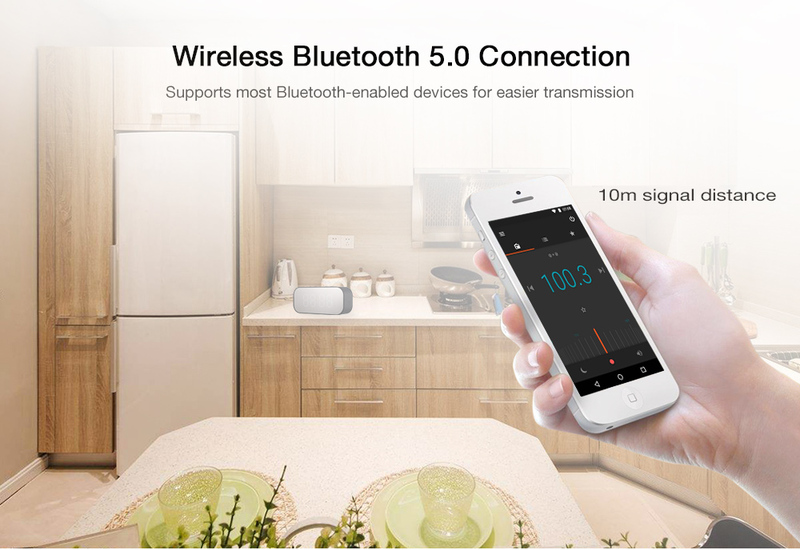 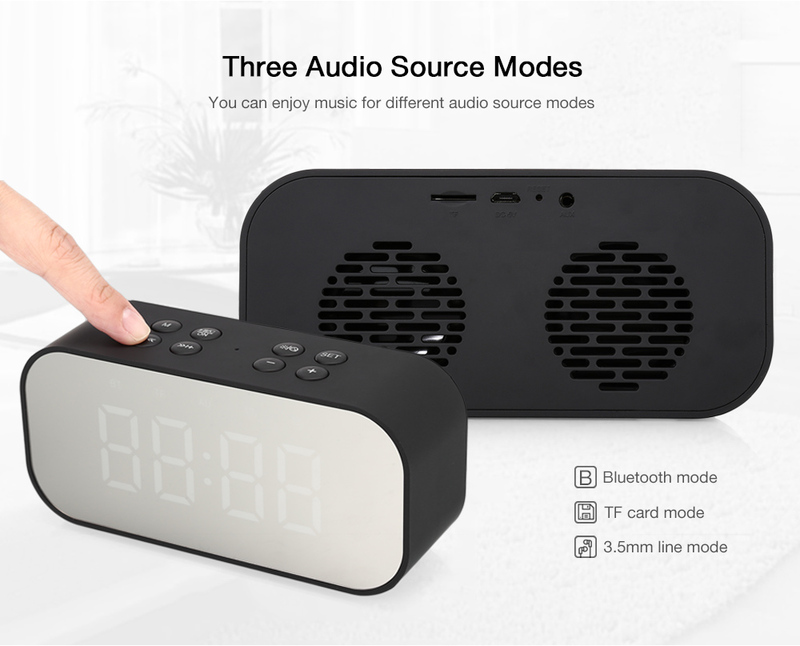 Portable Wireless Bluetooth Speaker Column Subwoofer Music Sound Box LED wireless speaker with Alarm Clock mirror. 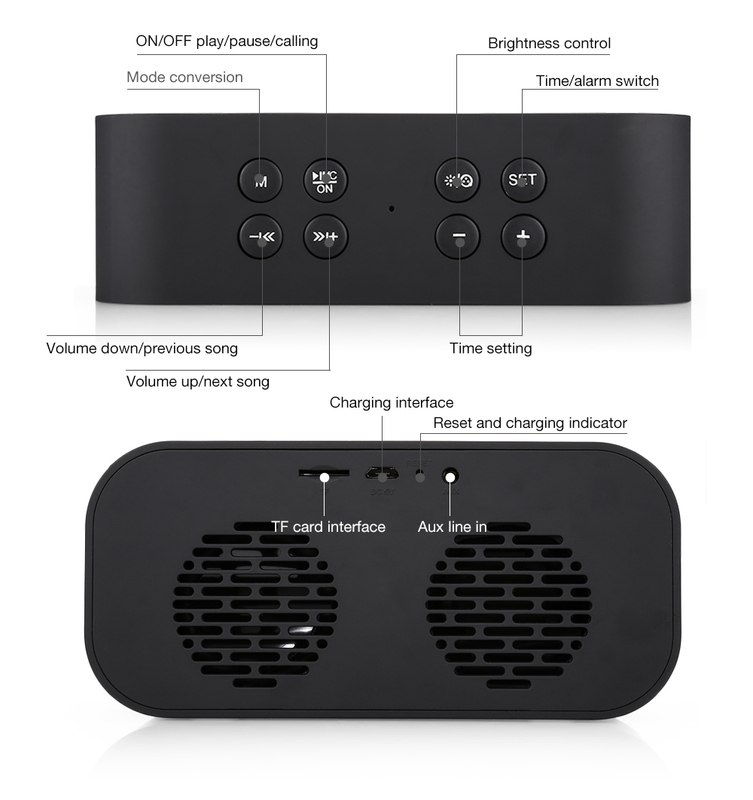 Are you finding a Bluetooth speaker with perfect sound? 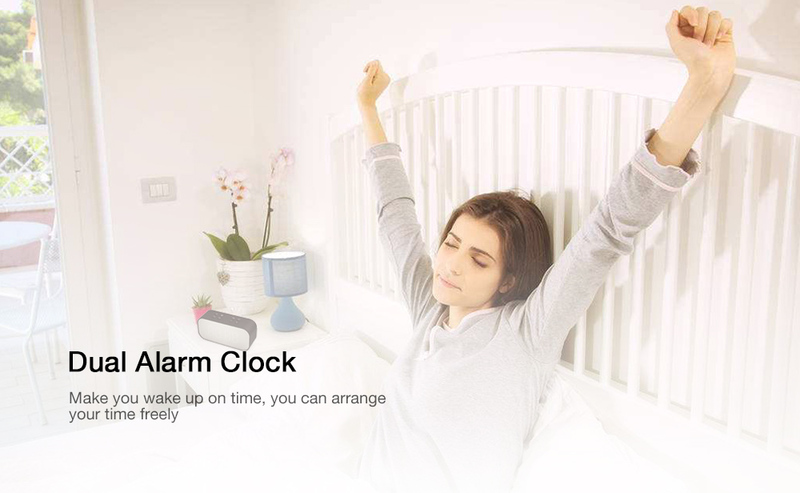 Looking for a beautifully integrated LED alarm clock? 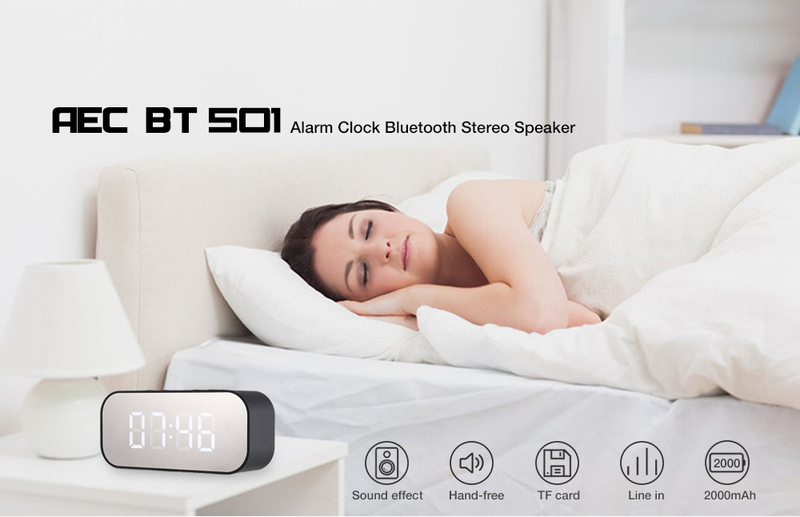 Now, we have this AEC BT501 clock Bluetooth speaker which features all in one, does not take up much space, meet all your needs at once. 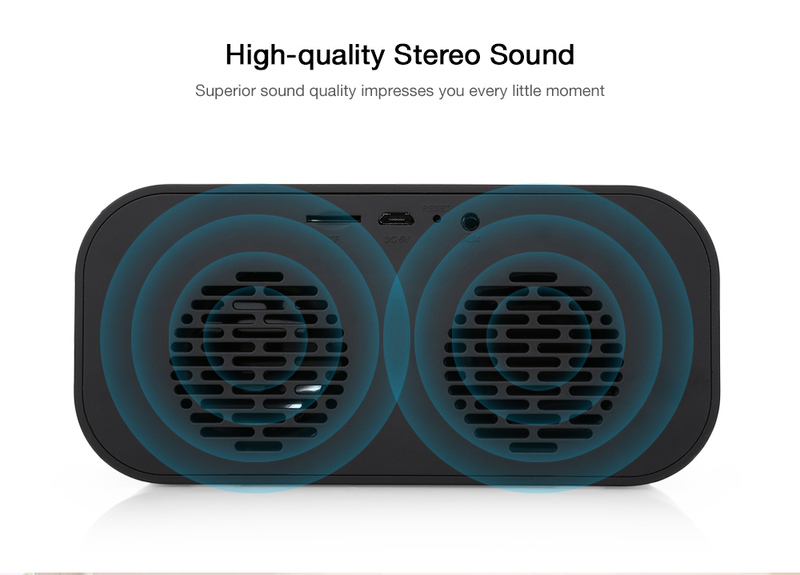 With control buttons, perfect stereo audio and mega bass, this speaker will bring you the best listening enjoyment. 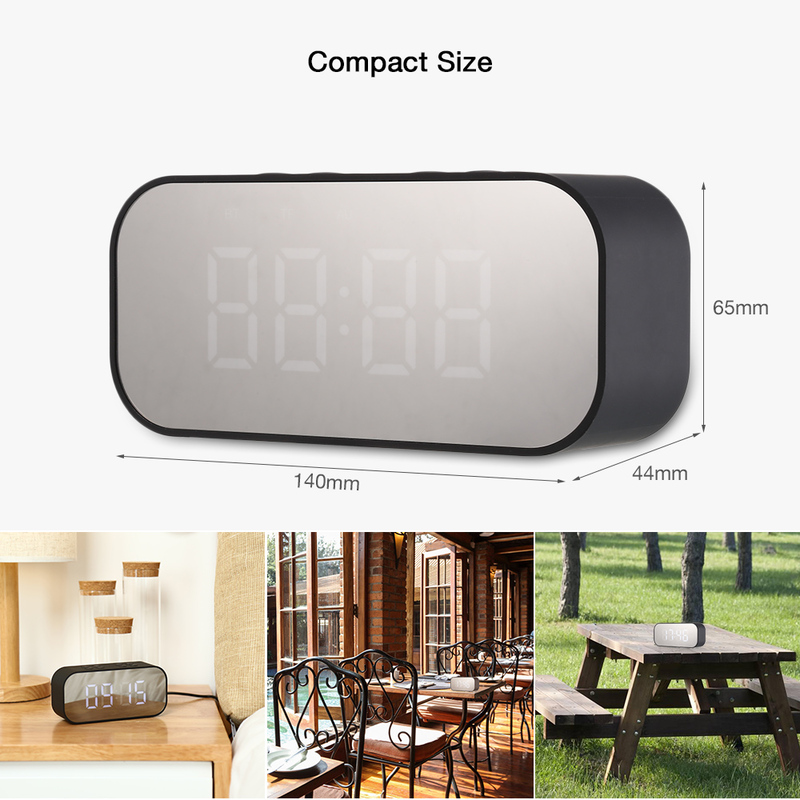 Set it on the desktop for a convenient and elegant set up, its fashion and stylish appearance will uplift your lifestyle, perfect for bedroom, desktop, home, office.